BREAKING UPDATE: Tony Windsor too. Good news for Barnaby. More below. FEDERAL independent MP Rob Oakeshott, whose crucial support helped Labor form the minority government after the 2010 election, has announced he is quitting politics. The federal member for Lyne has told his local newspaper he will not contest the September 14 election, saying he wants to spend more time with his family and had achieved his goals in parliament. “Now is the moment,” he told the Macleay Argus. Mr Oakeshott, who held the NSW north-coast seat of Lyne for five years, denied his decision was prompted by fear of losing at the upcoming federal election. THE two independents who backed Julia Gillard personally to form a minority Labor government – Tony Windsor and Rob Oakeshott – are bowing out of politics. Presumably you’re now a shoe-in to win New England. 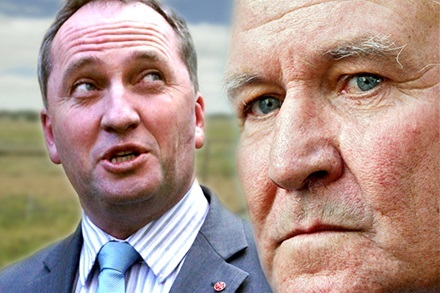 NEW England Nationals candidate Barnaby Joyce accepts he’s the underdog but he doesn’t think he’s as far behind sitting MP Tony Windsor as the latest poll suggests. It was no surprise he was the underdog, Senator Joyce said, but he disputes just what the voters might read into the latest poll. “I went into this fight behind … but I’m closing in,” he forecast as he prepared to tackle a six-week whistle-stop talking tour of the electorate. He questioned the results of a poll published in The Leader yesterday from its sister publication, The Australian Financial Review, that indicated the independent MP held a 10-point lead over The Nationals deputy leader. Senator Joyce said he believed he was much closer than what the poll showed – ranking Mr Windsor with 49 per cent of the primary vote against Senator Joyce’s 38 per cent. He didn’t doubt the numbers but he did question the transparency of the motives behind the poll – who did it, what questions were asked, what the sample size was, and the demographic split. “I would question whether it’s a reflection of the electorate, the way the questions were asked to determine the outcome,” he said. The story reported that the polling was done by the resources industry to gauge how real were the concerns about coal seam gas, water and coal mining – and according to the results the resources issues ranked way below priorities like jobs and employment, the economy, cost of living and health and education issues. Senator Joyce predicts those issues will be among the questions raised in his electorate forums, which begin at Mullaley tomorrow with an afternoon appearance in the Mullaley hall. 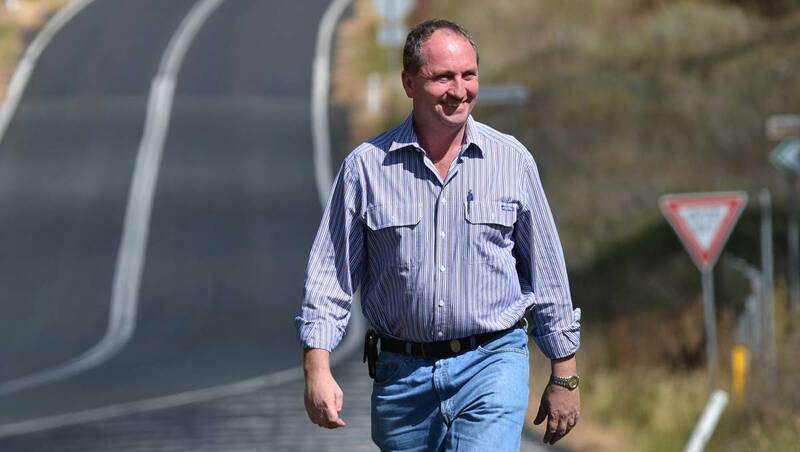 From there he will take a swing through the far flung reaches of an electorate that is nearly 60,000 square kilometres in size and extends nearly 400km from south of Nundle to the Queensland border and is about 280km wide. 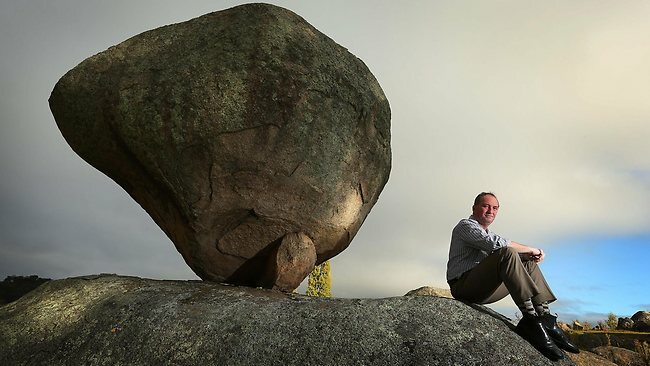 There are about 56 towns, villages and localities – and Senator Joyce has 29 of them in his sights for stopovers. “I want to get to all the corners, the little towns that get forgotten, like Ebor,” he said. 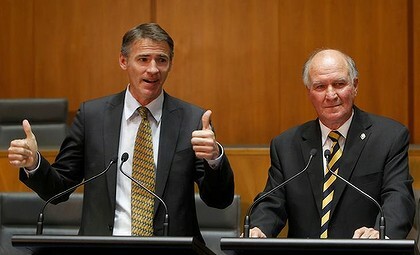 Mr Windsor has held the seat of New England since 2001 with a margin of 21.52 per cent – the 10th safest seat in the parliament. But this time around Senator Joyce believes that while he’s behind, he’s not too far behind and certainly not 10 percentage points. He thinks there’s a huge 30 per cent of undecided voters out there going inside the four months before the election. How they decide to vote will be crucial to his chances of toppling Mr Windsor and he muses that while Tony Windsor’s campaign might be based on his loyalty and his length of service to his electorate, his premise is for the future, and a place close to the centre of the action in a future government. He also expects to get an inkling of the feelings of supporters and the great undecided when he hits the forum track tomorrow. He expects some torrid, tough questions. Life in politics is punctuated with major challenges that throw into question the authenticity of your political mettle if you avoid them, but if you accept could cost you your political career if you fail. The unfortunate circumstances that surround Richard Torbay have placed me in a position in which I take the risk against the Green-Labor-independent alliance member in New England, Tony Windsor. This is a risk that, if it comes off the rails, will be curtains for me. Mr Windsor has 71 per cent of the two-party preferred vote, has been in politics for over 20 years in the district and no one in the history of our nation has ever successfully gone from the Senate in one state to a lower-house seat in another. It will be a risk that many may call excessive, including my children and staff. At least I do not have to argue over the underdog status. This is a risk that should be taken, however, if as a Coalition we truly believe that this Labor-Green-independent anarchy standing in proxy for a government is beyond just bad, and is dangerous to the future of our nation. It is beyond bad when our defence spending is as low as it has been as a percentage of GDP since 1938. It is beyond bad when our debt is now bigger than all the deficits in our nation’s history, before this government came to power, added one on top of the other. It is beyond bad when we have brought in a broad-based consumption tax on power so that many cannot afford heating this winter whilst the Government palms it off as an environmental “carbon tax”. It is beyond bad when overnight we go to our largest neighbour, Indonesia, and basically accuse them of barbarism as we shut down the live cattle trade, forcing down the price of one of our largest agricultural exports in the process. At many times of any life we are challenged to make a statement of commitment to an ethos over security in our current position. While politics is not the hardest venue to deal with this dilemma, the consequences of failure are dire nonetheless. New England is a good reflection of the nation with a commercial hub in Tamworth, education in Armidale and an agricultural hinterland providing the economic underpinning of the area. The issues cover law and order in the city to a fair return at the farm gate on the land. The people of this area, like most Australians, also carry a strong sense of national purpose and are concerned about the debt, defence, and ownership of our sovereign asset, our land. They have me very aware of one issue in this political contest; they do not want a personal catfight. They are over the pointless name-calling of previous national and local campaigns; it leaves them with a bad taste in their mouth, mimics the insults that they encounter on the streets and shows no vision of where the area is going. So, talk to the philosophy of your beliefs, explain the policies that encompass those beliefs, flesh out any inconsistencies in your opponent, but do not impugn the character of your opponent. The greatest issue for my opponent appears to be the obvious. When he supported the Greens and Labor in a new tripartite government with the independents, he inherently stopped being independent. They felt as if he had driven them past their political church and was forcing them to worship at a different religion. Philosophy runs deeper than one may think but is sometimes only recognised when confronted. The current polling would suggest that the Coalition is very likely going to win the next election, though certainty and politics are precarious bedfellows. If the Coalition does win, a Green-Labor- independent member of the opposition will be a lonely old job. Trying to be properly heard for the protection of funding streams and services in the New England will require real diplomacy but Mr Windsor has made certain personal comments, such as those about his negotiations with Mr Abbott, which will not assist in this process. Anyway, the electorate of New England is alive to all these issues and the media is salivating at the prospect of a class one political stoush. Democracy is a wonderful right and if nothing else the theatre of the political contest will be memorable. “WindsorWorld” … Is That Like Wayne’s World? Seven independent members of parliament have been voted out of office since Tony Windsor and Rob Oakeshott decided to back a Green-Labor government. Tony Windsor’s claim that “independents actually performed quite well at the [Queensland] election” is a denial of reality. On average Independent members suffered a bigger swing against them than the Labor party at the Queensland election. There were five seats in which independents were sitting members at the Queensland 2012 election. Across those five seats, independent candidates suffered an average swing against them of 18 per cent, a more devastating swing than meted out to the Labor party. In WindsorWorld apparently this is a great outcome. Windsor has an amazing analysis of history, it changes 5 minutes after the fact. The reality is the Independents got absolutely nailed. People are just sick of this idea that you can sneak around and tell people that you are really part of both football teams when you are in fact part of neither. Only two out of five independent Queensland electorates look to have retained their seats. This compares to three out of six independent members at the 2011 New South Wales election retaining their seats, an election that was widely seen as a disaster for independent members. In total, since Tony Windsor and Rob Oakeshott revealed that they were actually closet Green/Labor supporters, 7 independent members have been voted out of Parliament and only 5 re-elected in the Victorian, New South Wales and Queensland elections.